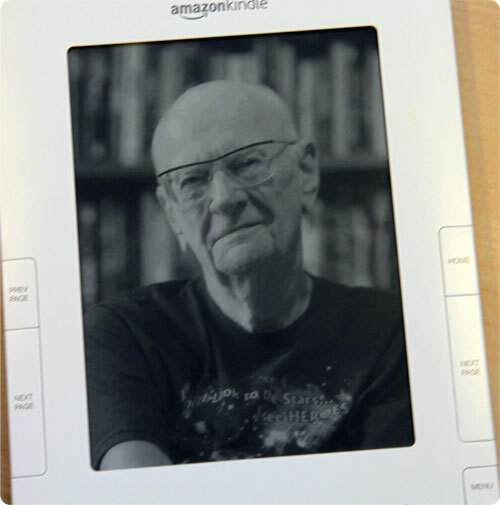 Arthur C. Clarke, one of the “Big Three” along with Robert A. Heinlein and Isaac Asimov, is most famous for his work 2001: A Space Odyssey. Based on the author’s short stories, mostly The Sentinel, the novel was completed in 1968, concurrently with Stanley Kubrick’s direction of the movie version. In 1991 the film was considered “culturally, historically, or aesthetically significant” by the United States Library of Congress and preserved in the National Film Registry. This entry was posted in Amazon, Books, E-Books, Good Kindle Books At A Glance, Kindle Books and tagged 2001: A Space Odyssey, Against the Fall of Night, Arthur C. Clarke, Moonwatcher's Memoir: A Diary of 2001: A Space Odyssey, Stanley Kubrick, The City and the Stars, The Dawn of Man, The Fountains of Paradise, The Sentinel by Dzmitry. Bookmark the permalink. Against The Fall of Night is another book I’d love to see on the Kindle.. read it years and years ago and was hoping to find it, but so far, no love..